Anyone who has ever been around a dog knows that dogs love exercise. Some dogs in fact need lots of exercise! Dogs also love exploring new places and smelling everything they possibly can. So it would seem that dogs would be the perfect trail companion. While this can be true, there are definitely a few things for dog owners to be mindful of before letting their dog run aimlessly down the trail. Lesson One: Be considerate of other hikers along the trail. Surprisingly enough, not every human on earth loves dogs. 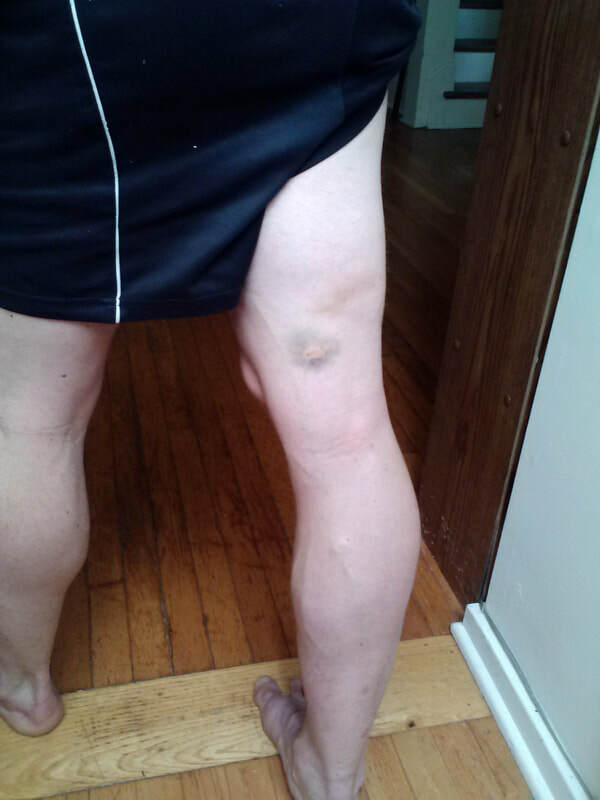 I happen to love dogs, yet I've been bit by several dogs throughout the years while hiking. Your dog must be under complete control from your verbal commands at all times. If this isn't the case for your pet than the only responsible alternative is to keep it on leash at all times. No matter how well trained your dog may be, some areas require pets to be on leash at all times, or at least during certain times of year. Be sure to read up on pet regulations before you let your dog roam around on public property. Lesson Two: Dogs often let curiosity (and their noses) get them in trouble. Interactions with snakes, porcupines, skunks, bear, coyote, and other wild animals can cause serious problems for your dog, the wild animal, and even yourself. 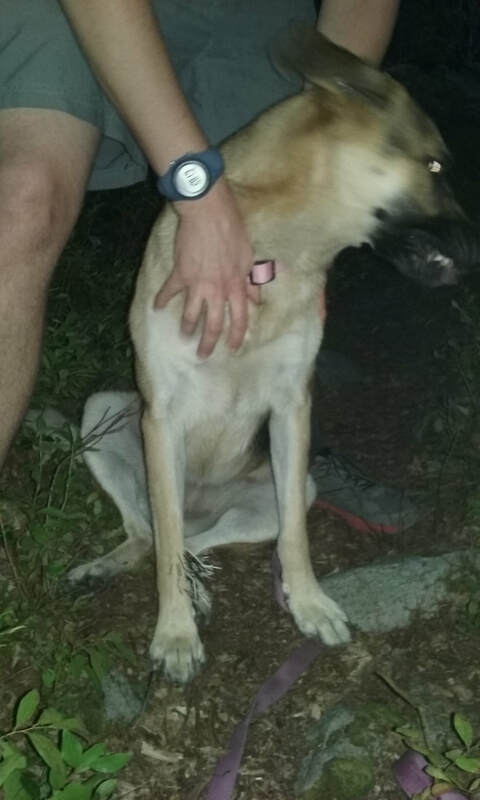 Be prepared for doggo emergencies such as porcupine quills to the face (I carry a pocket knife with pliers), snake bites, and other emergencies. And remember, your dog is a visitor in the home territory of these creatures. 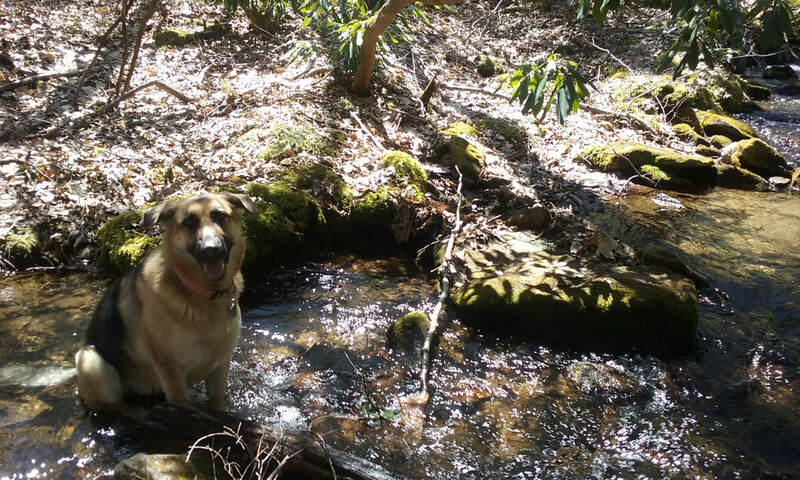 It is your responsibility to ensure that your dog doesn't cause unnecessary stress to creatures attempting to survive in their natural habitats. 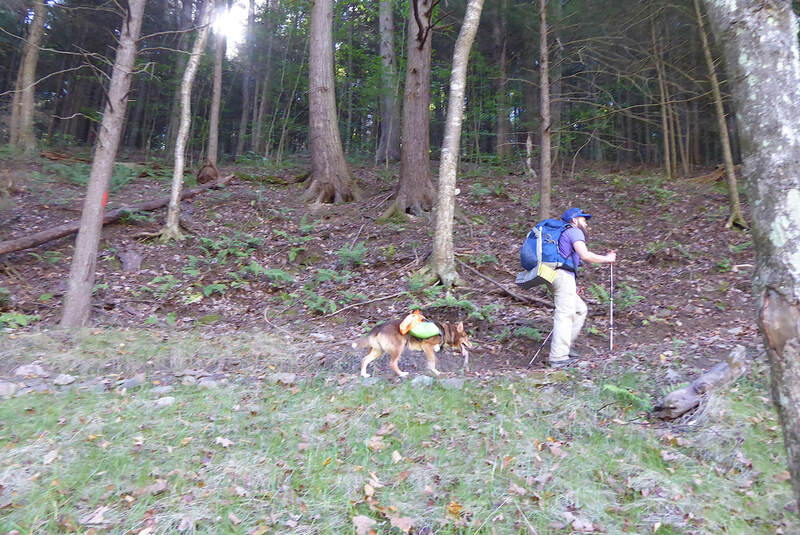 My friend Indy De Lemon, pictured to the left, was only ten yards ahead of me when she met her first porcupine on the Allegheny Front Trial one evening. Neither Indy nor the porcupine were pleased with the results of that meeting. Lesson Three: Is your dog prepared for the weather? Some breeds do well in winter, but can overheat in summer. 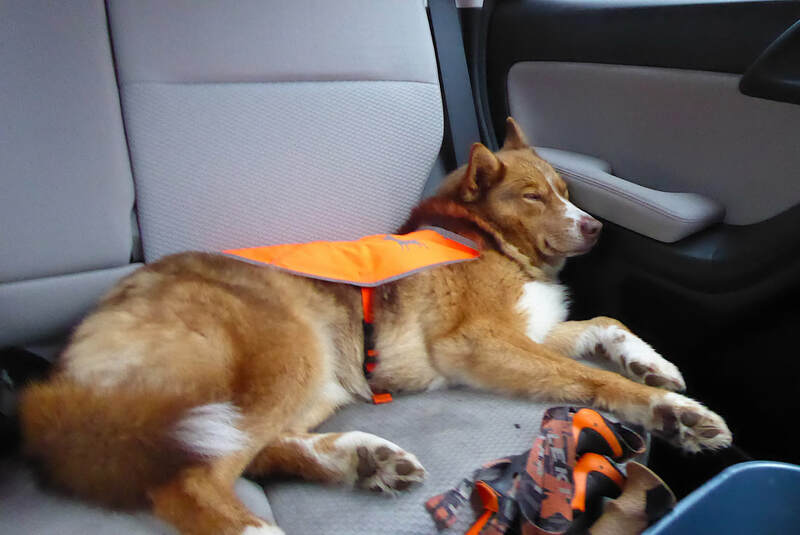 Other breeds need a vest in cool weather, and thrive in warmer weather. Your dog is loyal to you and will never let you down, but don't forget that comes with a responsibility of not overworking your dog or pushing it too far in inclement conditions. Also, always keep an eye on your dog's paw pads. 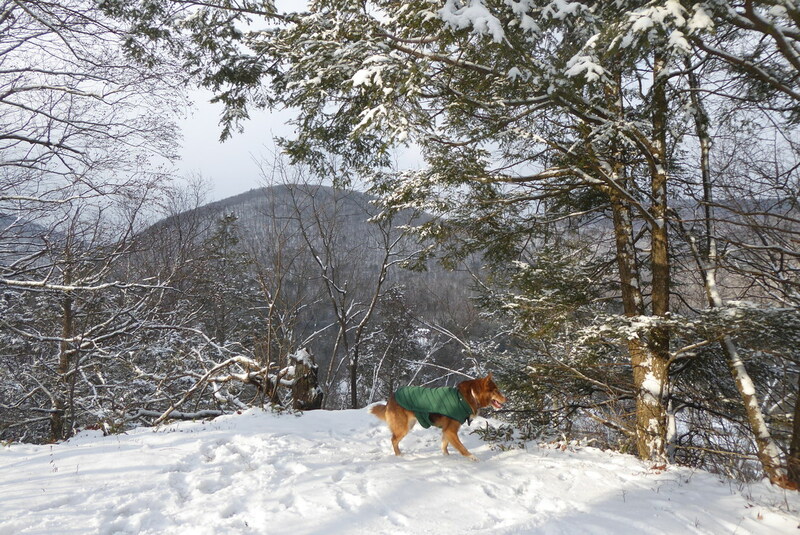 Rocksylvania isn't friendly for dog pads; ice and snow can be dangerous too. Lesson Four: Sleeping outdoors with dogs. 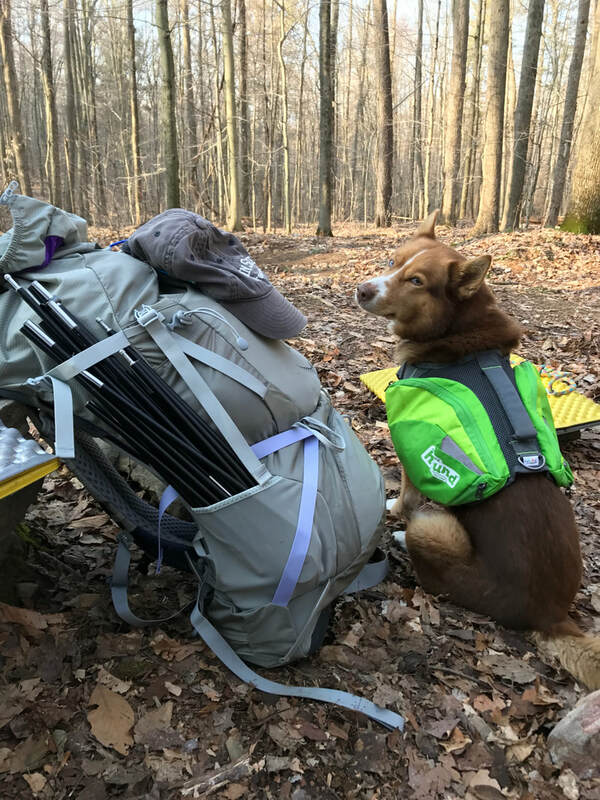 Dogs don't appreciate how much money you put into your backpacking gear, so you may not want them to sleep with you on your $400 sleeping bag in your $400 tent. On the other hand, forest noises and smells may lead your dog into trouble in the middle of the night. All dog owners find their own rhythm when it comes to camping outside, but I've found that an exhausted dog is the best kind of dog for sleeping outdoors. Lesson Five: Yes, dogs can carry their own gear. Just like humans, most dog breeds can comfortably carry about 25% of their body weight. So go ahead and get your dog a well-fitted backpack and load it with food and gear up to 25% of the dog's weight. Of course be gentler on young and old dogs. Take notice if your dog lags behind from being overworked with the extra weight or just really hates the pack, and be prepared to carry the weight (pack and all) on your back if needed. 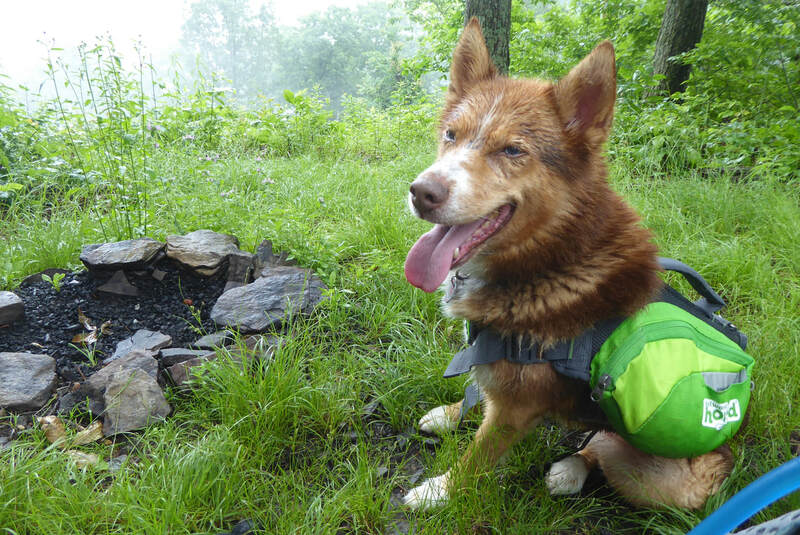 Hiking and backpacking with dogs can be an absolutely outstanding experience. But just as every other aspect in life, preparation is key. Be sure that you and your dog are well prepared for an adventure before jumping out of the car and hitting the trail! 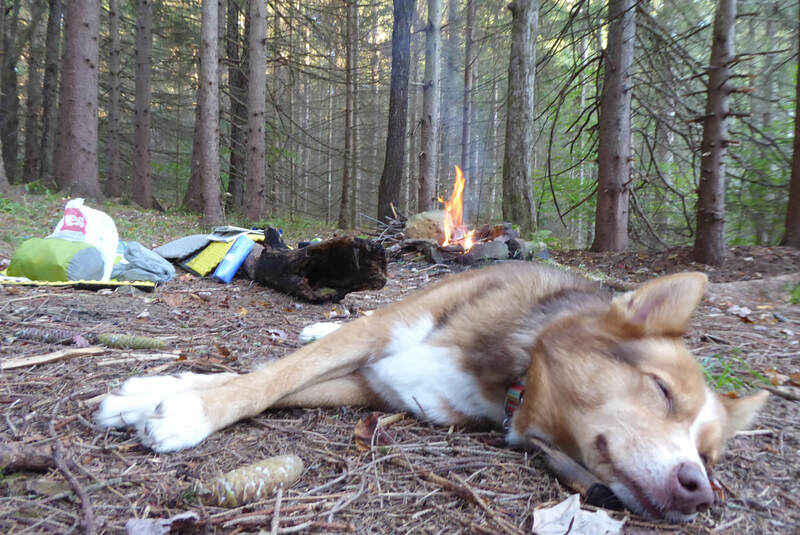 And always be sure your dog has a comfy place to rest after a hard day of work on the trail.